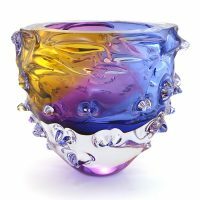 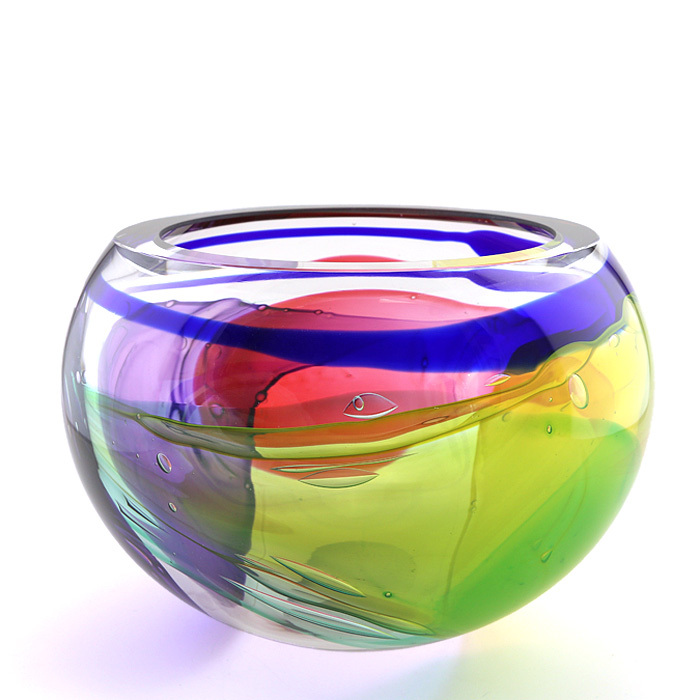 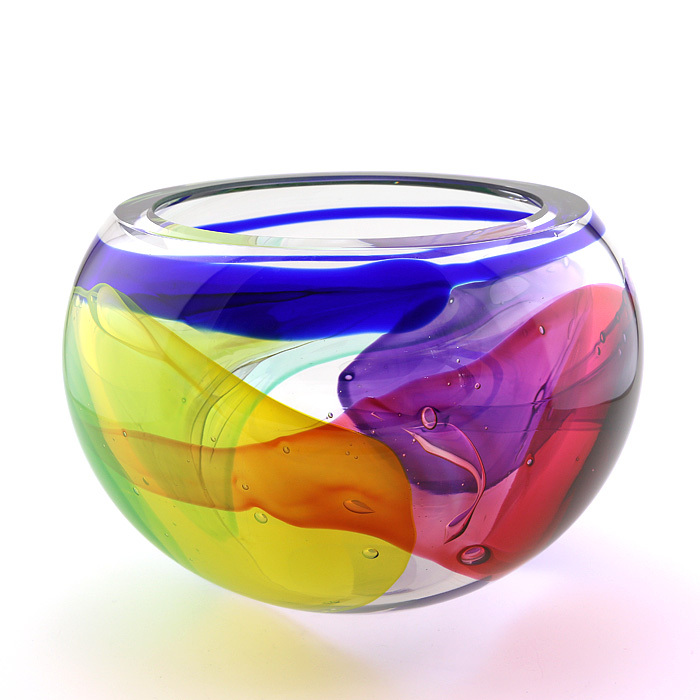 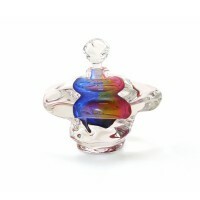 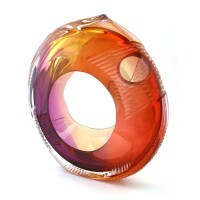 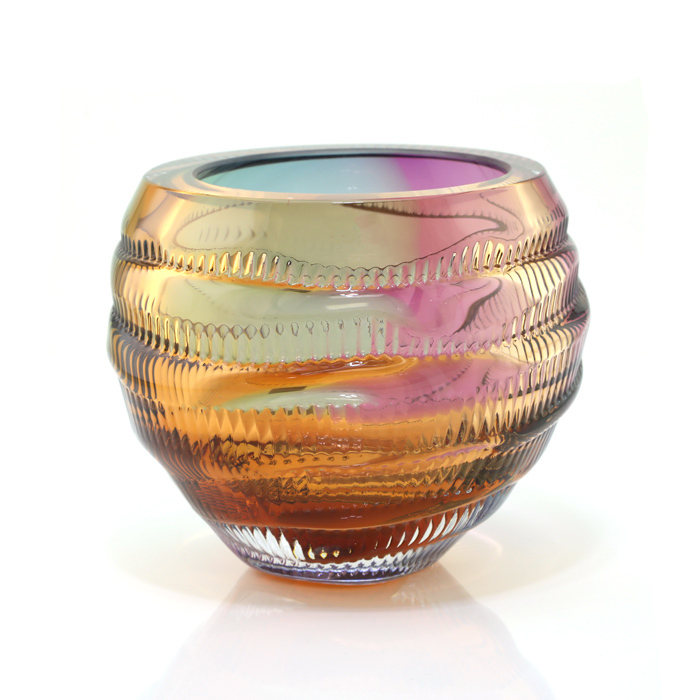 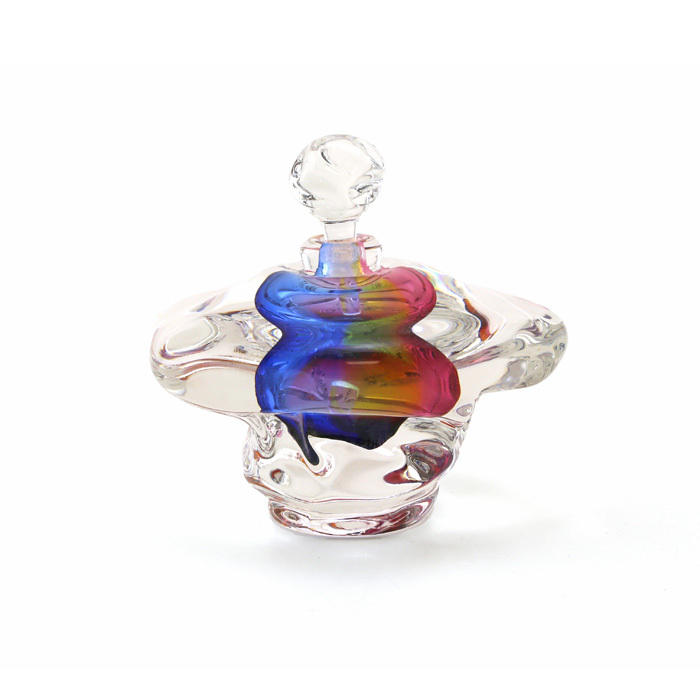 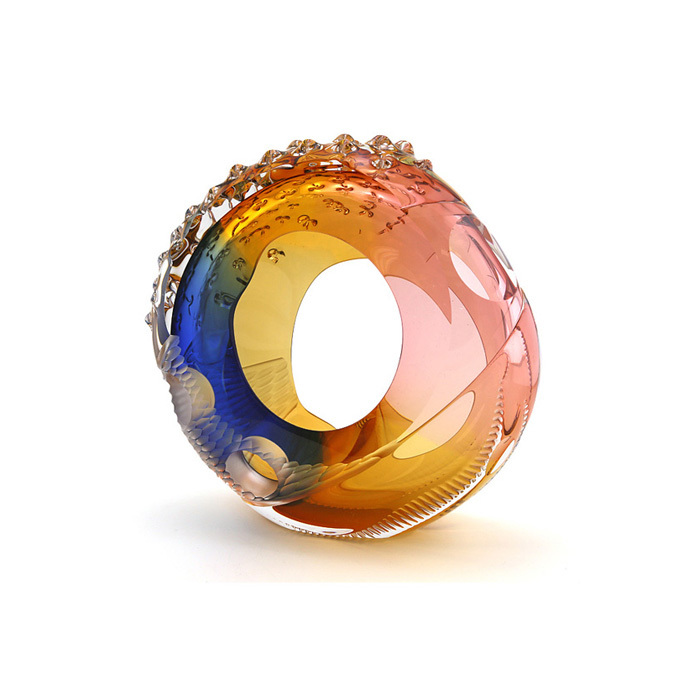 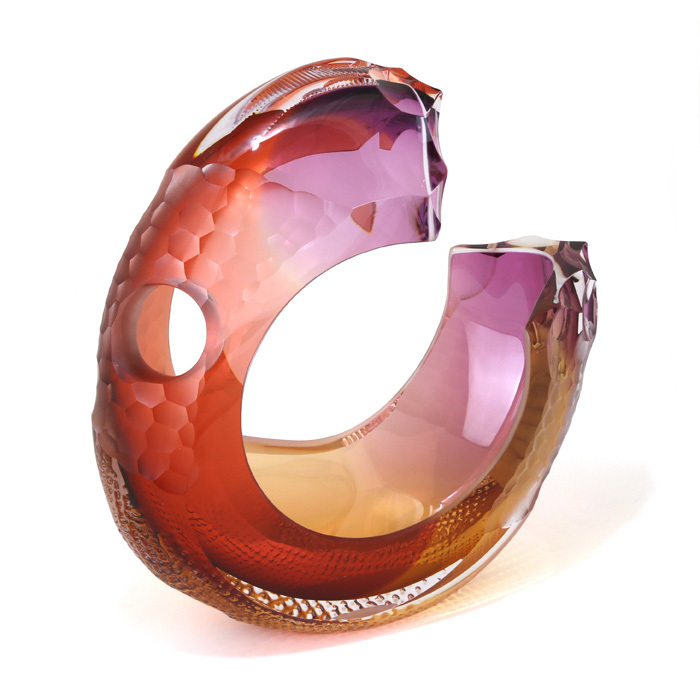 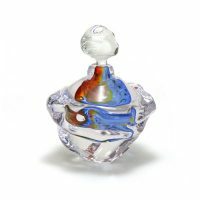 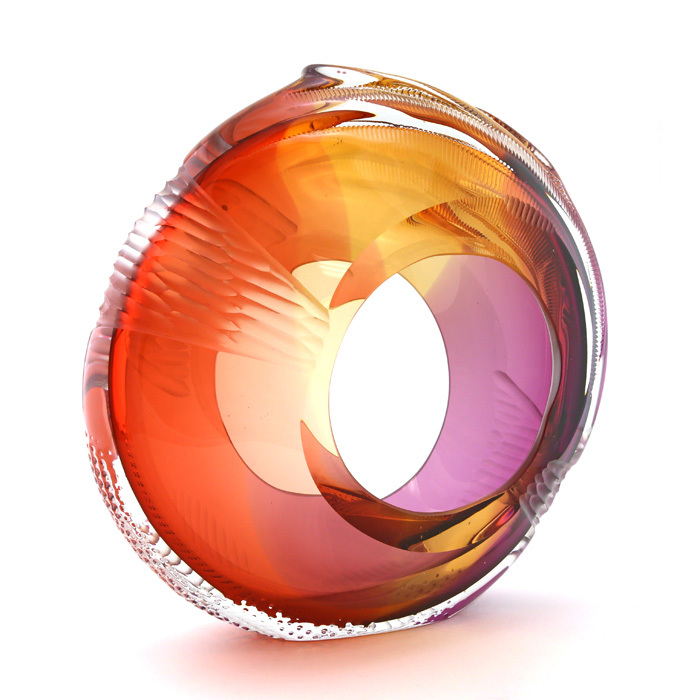 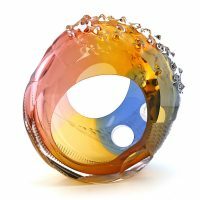 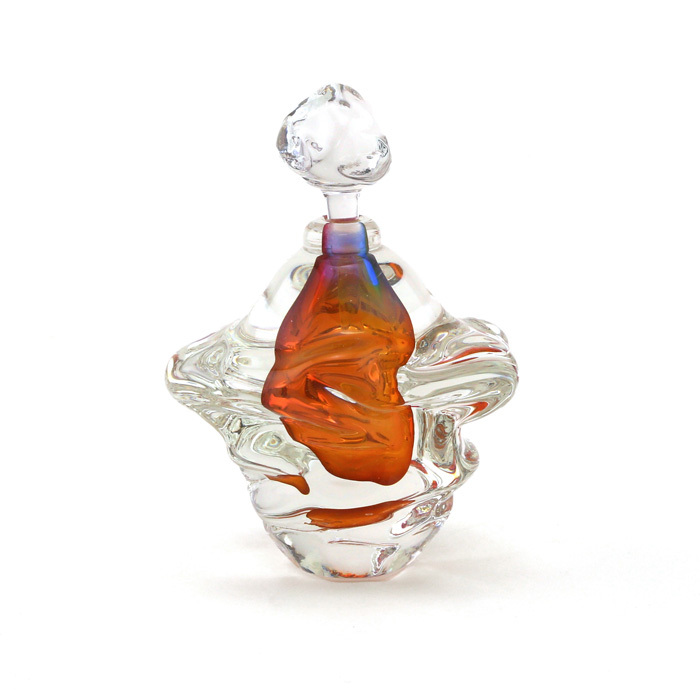 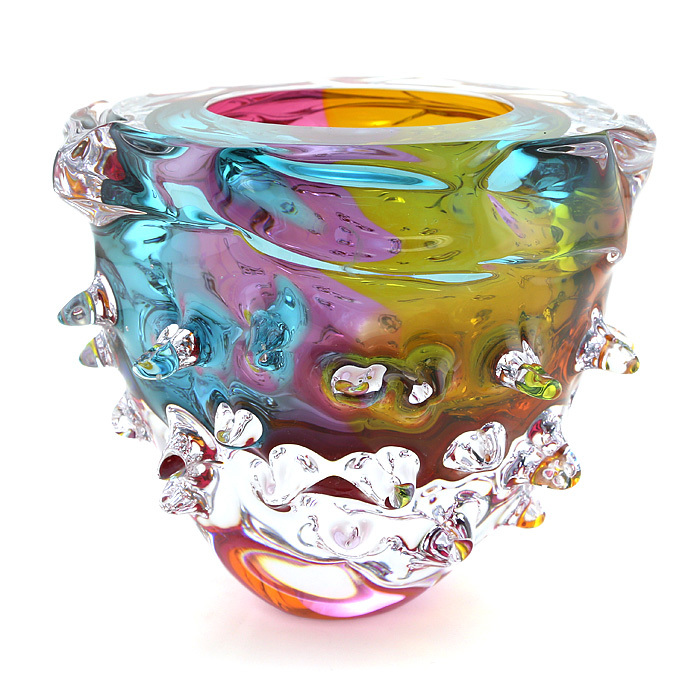 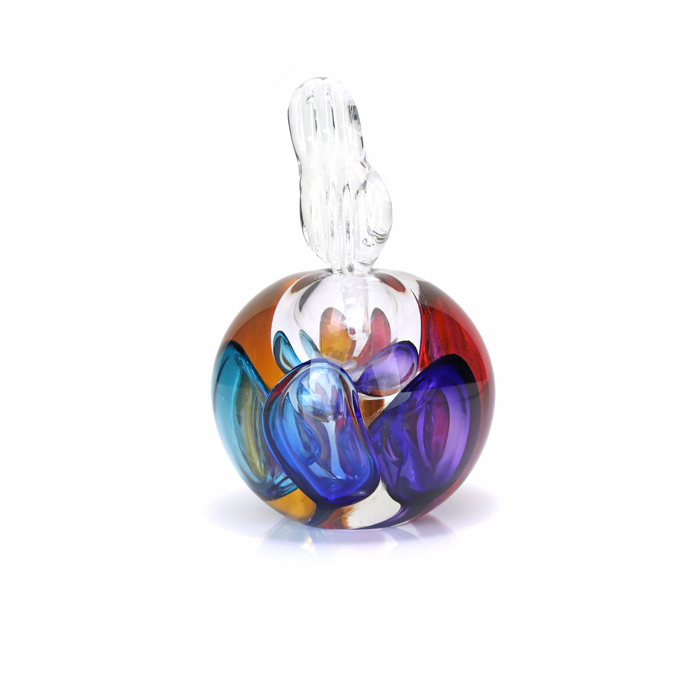 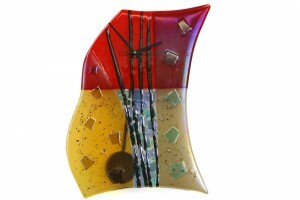 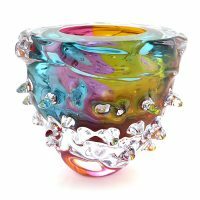 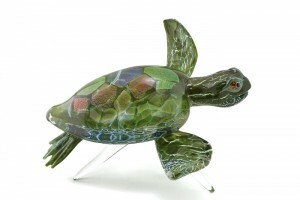 Leon Applebaum’s traditional and non-traditional techniques capture and accentuate the fluid energy of hot glass. Applebaum’s work has a weighty quality, yet he uses brilliant transparent colors and reflective elements to create a visual lightness. 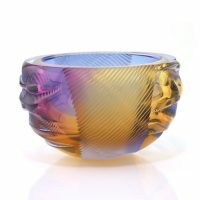 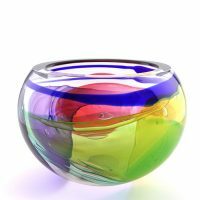 He enjoys exploring the visual dimensions of massive glass and reflective interiors, using transparent colors so that light may pass through and bring out the pure beauty and essence of glass.